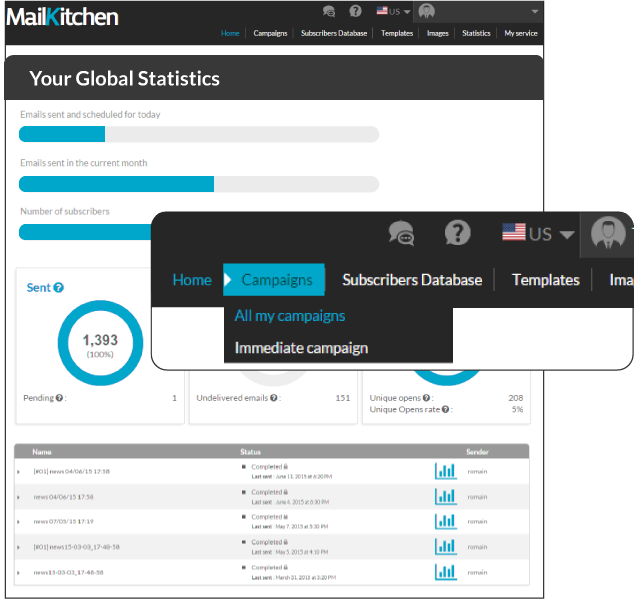 MailKitchen is a Free Email Marketing software for creating and sending Email Campaigns and Newsletters. 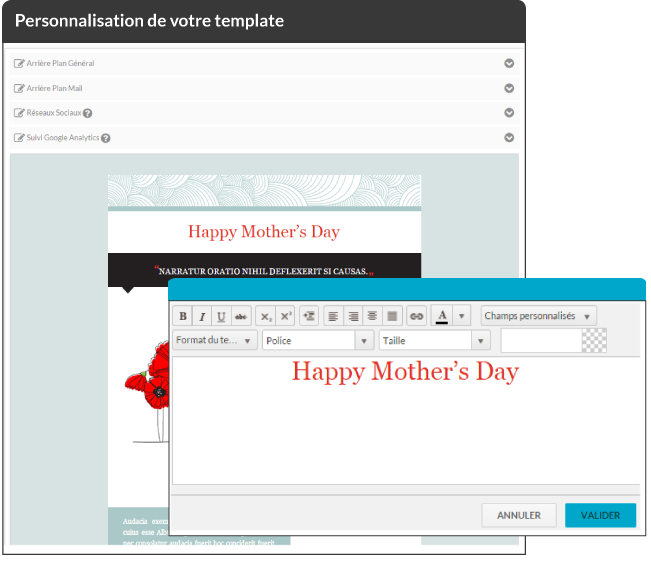 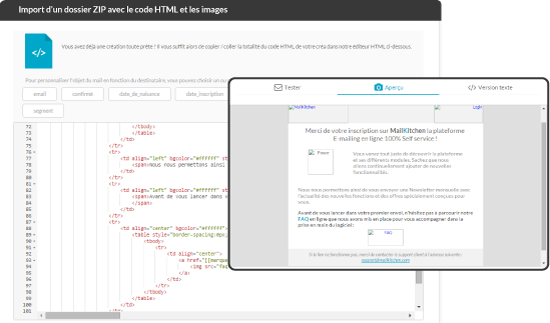 A simple and powerful Email Marketing tool that allows you to create your Newsletters in HTML, by integrating your texts and images, to send your email blast and to analyze the performances of your Email Campaigns (opens, clicks, unsubscriptions, bounces, etc.). 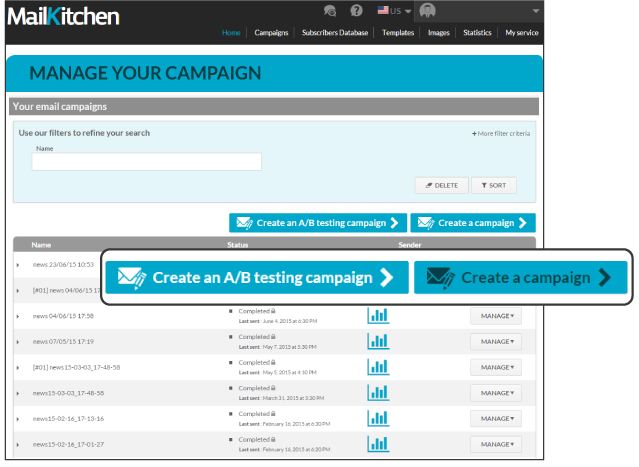 A powerful tool that allows you to exceed the limits of sending mass emails via a simple email account and to get your company's marketing up to speed. 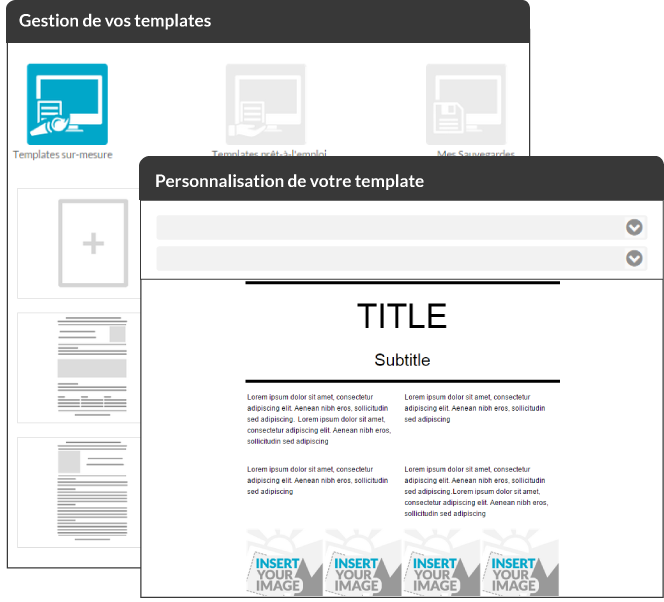 Initially created for small and medium-sized businesses and NGO's, our mission remains to make Email Marketing available to every company, offering a Fermium version (Free account without time limits) and a Paid versions (with unbeatable pricing rates). 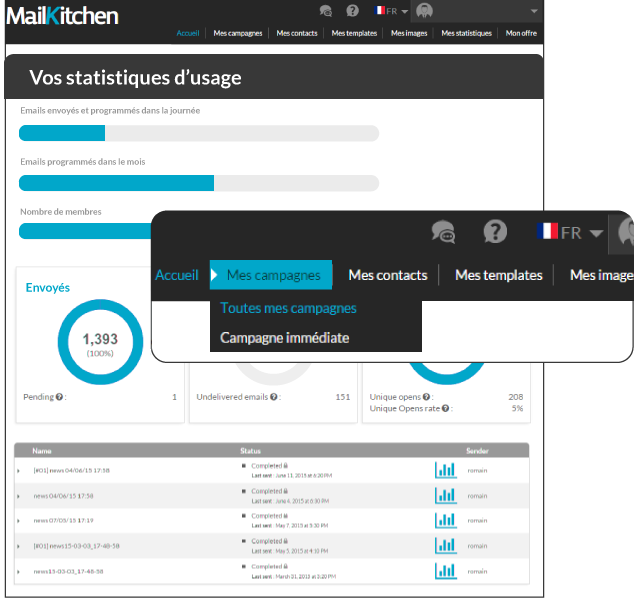 In addition to our Email Marketing service, at MailKitchen we offer you a unique service on the European market: an Email database cleanup service that allows you to eliminate Invalid email addresses or dangerous emails from your contact list. 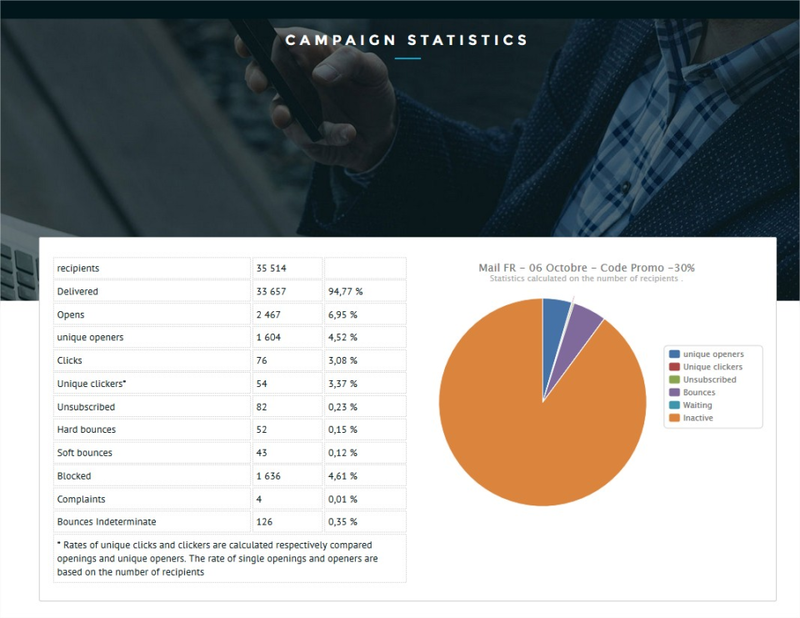 Sending emails to non-existent email addresses generates overhead costs and represents a major risk to the deliverability of your Email Campaigns. 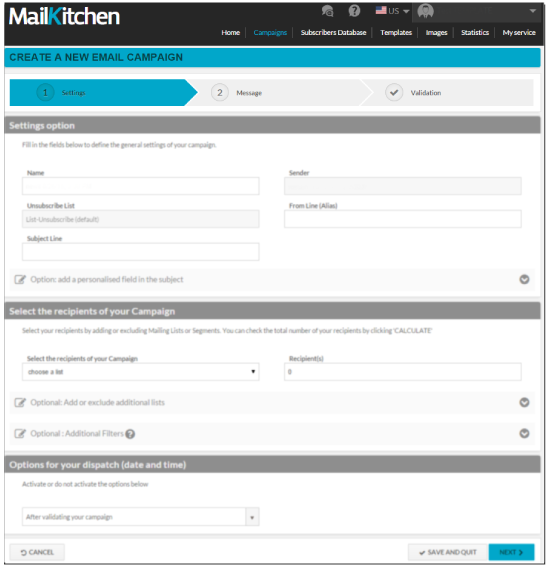 MialKitchen's email cleaning system allows you to eliminate 95-97% of invalid email addresses (Hard Bounced) or dangerous emails (Spam Trap), before sending your email campaign. Thus, you can avoid the main deliverability issues or seeing your account suspended by your email service provider. 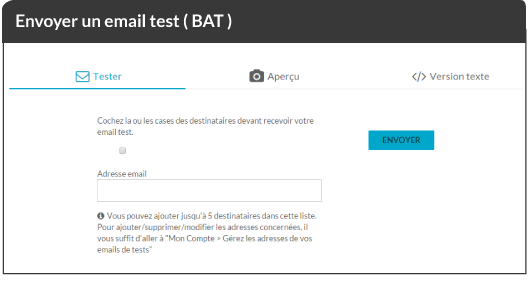 The email database cleanup is an independent service that you can use even if you're using another email marketing provider. 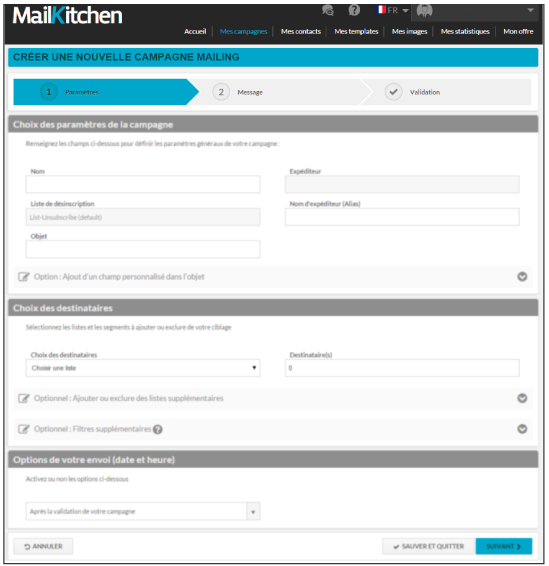 You can clean your database without having to send your email blasts via MailKitchen. 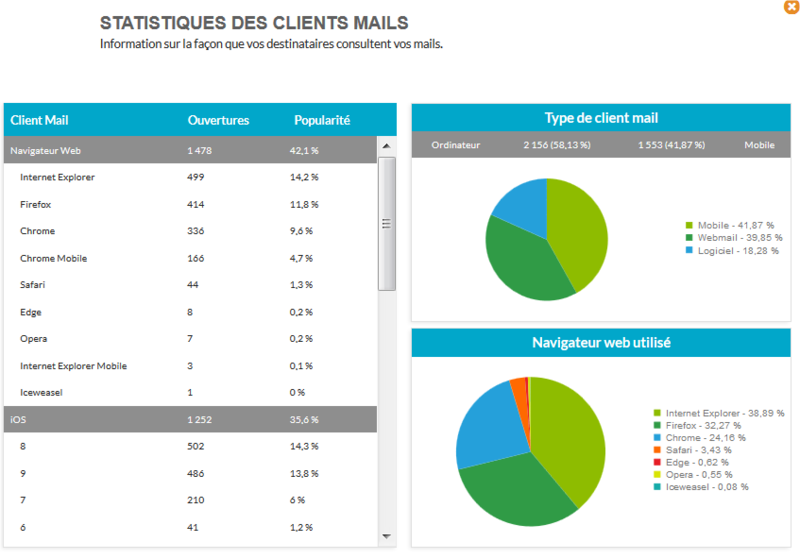 Statistics and tracking metrics for opens, clicks, types of device, etc.